Do you know the annual Art Studio Tour in Maple Ridge is coming up? It’ll take place on May 10th and 11th. 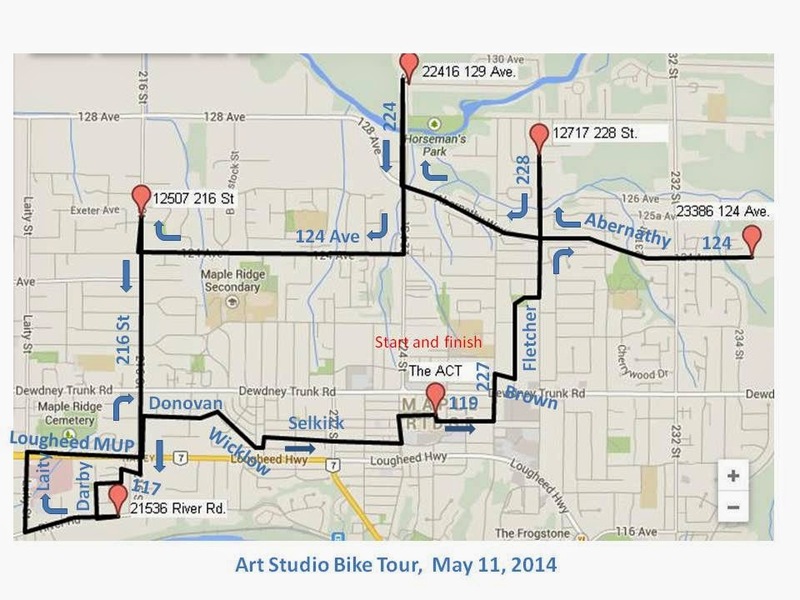 This year you have the option of joining members of our local HUB committee on our first Art Studio Bike Tour. We’ve selected a nice variety of art studios along a pleasant route for this ride. 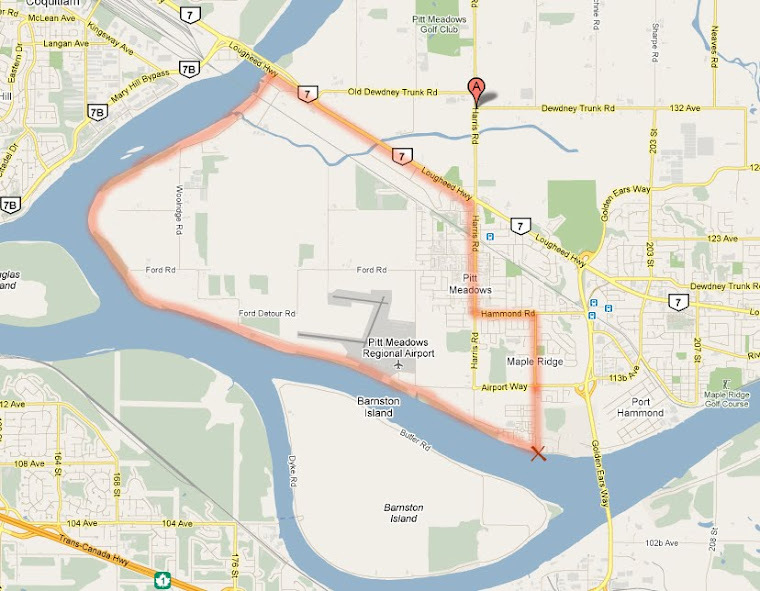 Length of the route is about 16 kms, so quite doable for the average person. You can expect some refreshments along the way, offered by the various artists, but you may want to bring along a small lunch and a water bottle as well, since we’ll be on the road for several hours. Doing it by bike adds another dimension to exploring the arts scene in Maple Ridge. It’s just as much about enjoying the exercise and the outdoors as about discovering the amazing artsy talents in our community! There is a small fee ($2) we will need to charge for this ride, which will cover a HUB membership for the day, which pays for insurance for ride participants. Update April 27: no charge for insurance. Members as well as non-members will be covered by HUB insurance (required by the District of Maple Ridge). All participants will just need to sign a waiver. Nevertheless, we always appreciate a small donation to help cover the cost of running our local activities, or you can consider an annual HUB membership which will help support HUB's activities throughout Metro Vancouver. A HUB membership will give you benefits such as discounts at local bike shops. Check out the HUB website for more info. You can join on-line. Pre-registration is recommended, but if you decide last-minute you want to join us, it's not a problem! Please contact Jackie at jchow23708@yahoo.ca.